Feet - Alleviates the stress placed on pressure points in the feet and ankles. Knees - Relieves pressure and discomfort by absorbing the pressure placed on the joints while walking and standing, which can lessen joint pain and help prevent arthritis in the future. Back - Reduces muscle fatigue and exhaustion by minimizing spinal compression and friction in the ligaments and tendons. WellnessMats are accepted by the APMA (American Podiatric Medical Association), certified by NFSI (National Floor Safety Institute), and endorsed by the American Chiropractic Association. 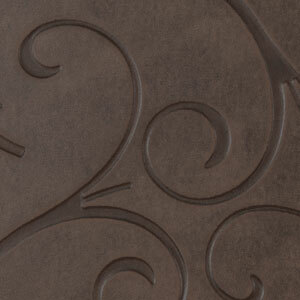 WellnessMats are proudly Made in the USA and backed by a 20-year Manufacturer’s Warranty. Engineered with the latest advancements in ergonomics and durability, they will never curl or delaminate. 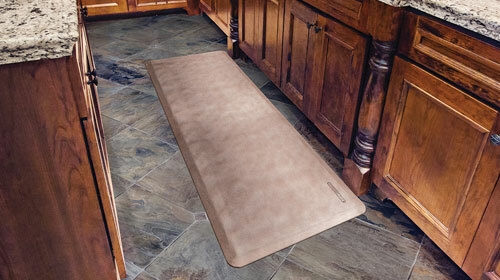 WellnessMats are inherently antimicrobial, easy to clean, and stain resistant. Simply wipe clean with a damp cloth or sponge, use any common household cleaner or sweep clean of dirt and dust.